So you're thinking about starting uni? This is a great place to start. Explore your study options, register for an online chat session to get your questions answered or learn about why you should choose CQUniversity. 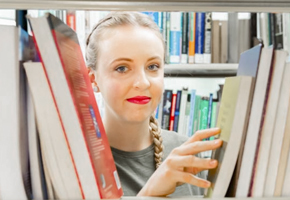 If you're keen to get started, applications for uni courses starting mid-year are open now. Term 1, 2020 applications will open in August, along with applications for Term 3 summer courses and cross-institutional units. TAFE courses often start year round, so be sure to check the relevant course page to see intakes available to you. 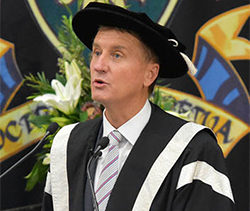 Discover why students choose to study at CQUniversity, from our reputation to how we are a leader in online education. Search all courses available across multiple pathways and interest areas. 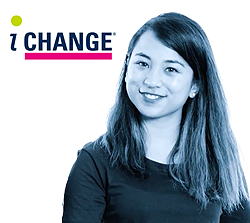 Find out more about the wide range of scholarships, awards and financial assistance programs CQUniversity has on offer. Get answers to your questions about CQUni's courses, application process or anything else. Call us on 13 27 86 or submit your question online. Or, talk to us at an upcoming Online Chat Session on 30 April or 23 May. The application process depends on whether you are a domestic or international student, your educational background and the level of education and training you wish to pursue. We're here to assist you every step of the way. I needed to be able to study in my own time, at my own pace. I had the flexibility to do that when I started mid-year. When I first started as a mature-aged student I really doubted myself. Early on I was on the brink of giving up but my senior lecturer was really supportive of me and talked me into sticking it out. And I’m so glad I did. I had to work to support my children. So online learning was highly beneficial to me. I wouldn’t have been able to do it without the ability to learn at my own pace and my own time. Ready to join CQUni? Get information about important dates, requirements and instructions on how to apply for a course. Your application is considered, and if it meets our entry requirements, an offer will be issued. Read more about the assessment. You have accepted your offer and are ready to enrol. Find more information on how to make your enrolment easy here. Most school leavers apply for and commence study in, Term 1. Please refer to our course listings for more information about course intake dates. Victorian Tertiary Admissions Centre (VTAC). Do I have to apply through a Tertiary Admission Centre (TAC)? Yes, most school leavers who wish to study an Associate or Bachelor Degree, and some Diplomas, are required to apply via a TAC. 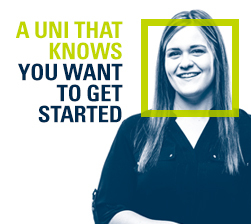 If you study our Start Uni Now (SUN) program, you may be eligible for direct entry into a CQUniversity course, meaning you can apply direct to the University (not via a TAC). When applying through a TAC, you will be required to confirm your personal details and qualifications, enter your course preferences and make payment for your application. You will be able to select a number of courses you wish to study, in preference order. You should list your desired courses as your first preferences, your back up in the middle, and your pathway courses as your last preferences. You can change your preferences before and after you are made an offer. Contact our Student Advice team to help you plan your preferences. Your TAC will use the information you supply to obtain your secondary results, assess your application and complete the selection process. Support services like Counselling, Accessibility and Student Mentors are waiting for you! We also have a range of Learning Support services available. If you need to talk to someone as soon as possible, visit Contacts and forms for key contacts and where to find information when you need help.